Forums, such as the one recently held in Lausanne, rarely produce concrete outcomes but a prevailing theme once the gaming world had departed the Olympic Capital was clear; someday, somehow, a form of esports will be part of the world’s biggest sporting event. To some extent, that was patently obvious. The mere staging of the forum, co-hosted by the International Olympic Committee (IOC) and the Global Association of International Sports Federations (GAISF), suggested a venture into the unknown for the IOC and its President Thomas Bach in the future. The exact nature of this foray into the world of esports, a scarcely-understood industry among most of the bigwigs at the IOC and GAISF, is still to be determined. But after Bach rubbed shoulders with the likes of Overwatch star Jake Lyon, after other professional gamers sat side-by-side with Olympians and after numerous officials vowed to explore the opportunities provided by esport, the path became that little bit clearer. An “esports liaison group” will be established by the IOC and GAISF, marking the next step in the process, with a first proposal – likely to be a “pilot project”, according to Bach – expected following the Olympic Summit in December. This will offer a better insight into exactly what happens next. At the moment, no-one, not even the IOC, really knows. One suggestion raised at the forum by Epic Games founder Mark Rein, which many deemed sensible, was for an “esports Olympics” to be created. This would include a multitude of different games and would be held under the banner of the IOC. The idea in principle seems a sensible one. Instead of shoe-horning them onto an already-packed Games program, where space is as limited as the older members of the IOC’s knowledge about games like Fortnite and FIFA, esports would have their very own Olympic-style event. Not only would that address concerns over where esports would fit in amid the need to cut costs of the Games and with unattainable athlete quotas, but it would also allow for a greater range of games to be included. Debate raged here over what games should form part of esports’ inevitable, yet distant, Olympic debut. Aside from Bach’s insistence that a “red line” should be drawn at games which glorify violence, the esports landscape is vast, with new titles popping up with regularity. With that in mind, it will be difficult for the IOC and the esports organisation they choose to partner up with to decide their preferred games – an aspect which would be alleviated by having an esports Olympics. Despite Rein’s proposal resonating with many who believe esports and the Olympics is a match made in hell rather than heaven, Bach was immediately dismissive of any such proposition. “You cannot have it all,” the German said during a huddle after the forum. “If you speak about Olympics, it is us – it is that easy. “The industry knows this very well because they have very good experience when it comes to intellectual property. “Why should we sponsor a commercial event for an industry? This cannot be the future that we are sponsoring something to make an industry richer. The IOC’s attraction to the behemoth that is the world of esports seems to be purely financial. It makes little sense in any other department. E-sports will have full medal status at the 2022 Asian Games in China. In fact, there is credence to the belief that the Olympics needs esports – with its considerable coffers growing by the day – rather than vice versa. Yes, it is becoming one of the most lucrative industries in the planet – a recent report from financial services company Goldman Sachs said its fanbase could grow to 300 million, around the same as the National Football League in the United States, by 2022 – but it simply isn’t sport. That debate was central to many of the forum discussions. As British esports association founder and chief executive Chester King pointed out, esports is classed as a game in his native country but others in different parts of the world are having a far tougher battle finding a definitive answer to what remains a pertinent question. Even some of the professionals admit that it is not sport. “For me personally esports is not a real sport because we don’t have this physical element,” FIFA player Timo Siep, who plays for Bundesliga club Wolfsburg, told me at the forum. Yet others in Siep’s profession disagreed. Lyon, who earned the respect of many when he countered Bach’s violence claim by mentioning some of the more aggressive sports on the Olympic program, was at pains to stress the competitiveness found at the top level of any game. That is hard to disagree with. Having witnessed several demonstrations of various games yesterday, I can admit that the skills these professionals have is admirable; the speed at which they were pressing buttons and maneuvering joysticks, and the level of competition with their opponent, was striking. It moved the perception of esports further away from the gimmick those less-versed in the industry have often thought it to be, but still did little to convince me that what they were doing was worthy of a place at the hallowed Olympic Games. 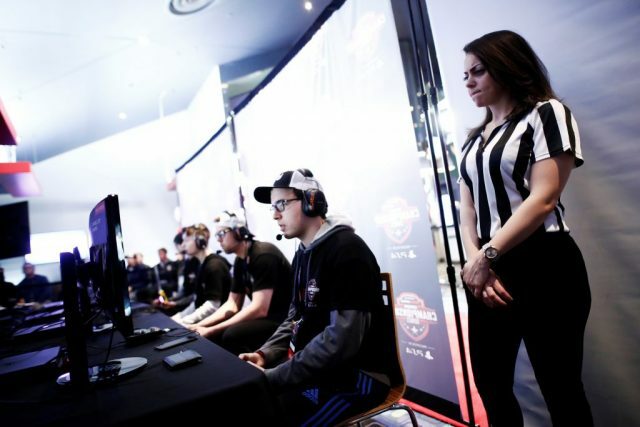 Lyon’s counterparts also highlighted their training regimes, with one player, five-time world champion Stephanie Harvey, detailing the intense wrist exercises she does in the gym to aid her career in first-person shooter game Counter Strike. Yet this cannot be compared to the grueling hours put in by traditional athletes across the Olympic spectrum, be it on the track, in the pool or on the court. They are two different worlds. Perhaps this is why German player Dario Wünsch said during the closing remarks that the professionals were “expecting more opposition” from Olympians. A claim made by GAISF President and IOC member Patrick Baumann to insidethegames earlier this week that esports players are “as fit as athletes who compete at World Championships or Olympic Games” did little to stoke that particular fire. Try telling that to a marathon runner who covers miles and miles each day while the professional gamers spend hours on end in front of a screen. This is another central argument for the opponents. As Bach himself has said on numerous occasions, participation in sport needs to be increased to “get the couch potatoes off the couch”. Well isn’t esports putting those people back on the couch? Wouldn’t it be better for them to get out and try a sport rather than play a virtual version of it? For esport, such a concern is one of many the Olympic Movement has. Anti-doping, a fundamental element to any sport nowadays, was hardly mentioned at all during the forum. Even IOC sports director Kit McConnell admitted his disappointment with that. “I would have liked to have gone into much more detail on anti-doping,” he said. Baring in mind esports players have openly admitted anti-doping in their craft is “non-existent”, you would have thought more attention would have been paid to it. Without anti-doping, esport cannot be considered credible. 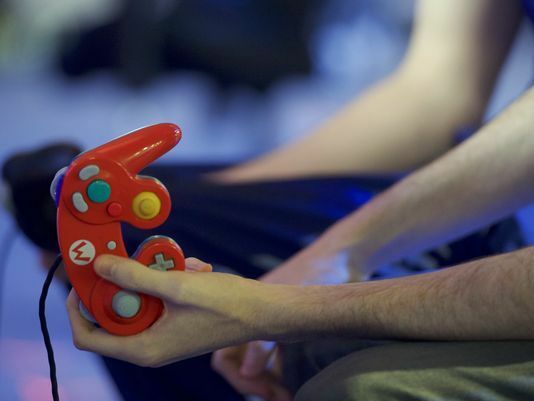 Arguments that it would not be as beneficial as in long-distance running for example don’t wash as there are plenty of nerve-settling, calming drugs which would provide an enormous advantage for esports players. IOC Athletes’ Commission member and Olympic BMX silver medallist Sarah Walker also raised an interesting point, claiming esports is unsuitable for the Olympics in its current state as “entry level gaming” is not active enough. When Walker started out, she had to physically go outside on her BMX and train for hours on end hoping that one day she would stand on an Olympic podium. For esports players, that training comes inside the walls of a house. “The main difference for me is if I want to practice any Olympic discipline, if I wanted to try one of them, I actually have to go out and do it,” the New Zealander said. Paris 2024 will come too soon for esports at the Olympics, thankfully, but Los Angeles 2028 seems a far more realistic timeline. The pilot project described by Bach is likely to see a more formal demonstration of esports at the Olympics, possibly in the French capital. Should that go to plan, an Olympic gold medal being won at Los Angeles 2028 becomes an even more likely eventuality. Regardless of what our opinions might be, esports is on a trajectory towards the Games and there is nothing we can do to stop it.